Roast Rack of Lamb. My Sunday roast recipe, very easy and no fuss, throw every thing in 1 baking tray, bake and enjoy with your family. 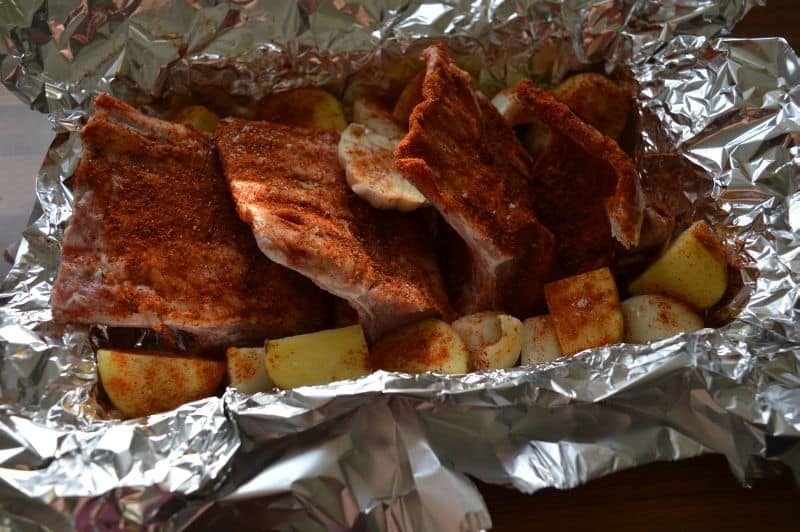 I place rack of lamb, potatoes, onion ,spices, garlic and lemon in a baking tray tightly cover it with foil and baked it for almost 3 hours in a slow oven. This slow cooking will give it a really nice tenderness and taste. 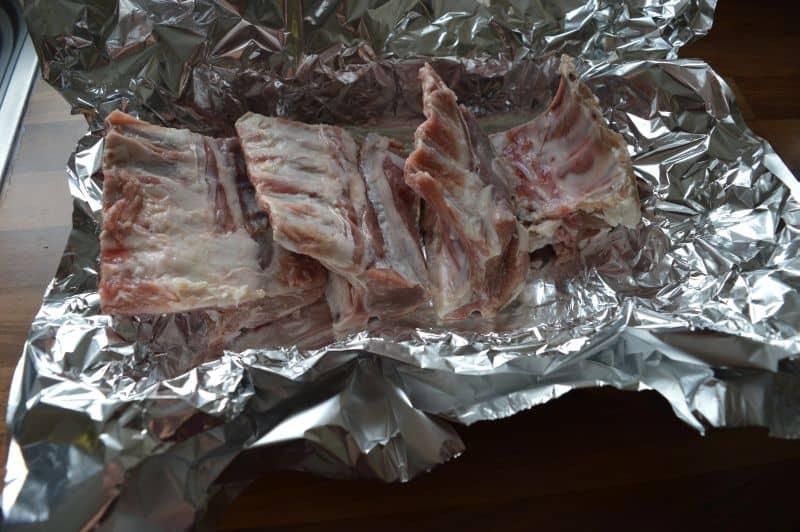 When you open the foil after 3 hours, it will have a very tender meat and a little gravy in it that will go really well with rice of garlic bread. 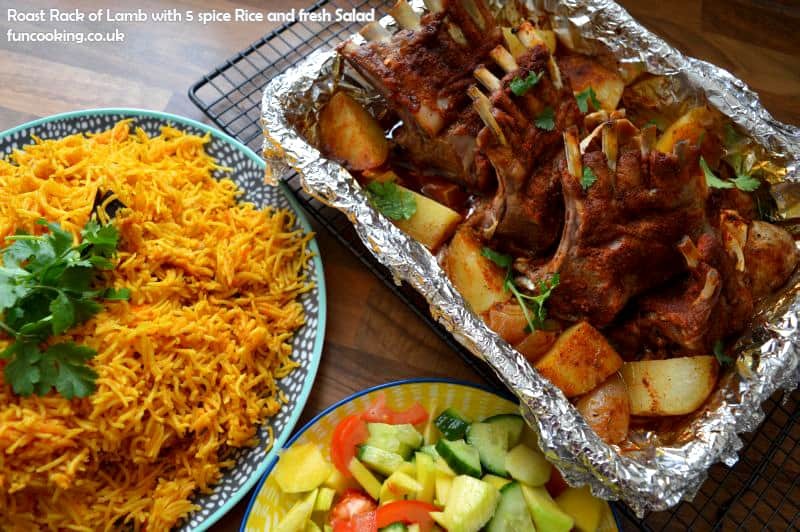 You can use any kind of lamb meat in it like shanks or mix meat.I served it with 5 spice rice and fresh salad to complete the meal. I used store bought Cajun seasoning in this recipe but you can make your own. 1. Take a baking tray. Place a big size foil in it. Keep washed and clean racks of lamb in it. 2. Rub cajun spice on lamb racks. Place cubed onion and potatoes in sides and sprinkle cajun on them. Cut garlic head in 2 and throw that in. Sprinkle 1 lime juice on it and throw in the squeezed lime in it. Sprinkle some salt and 1 tbsp oil. 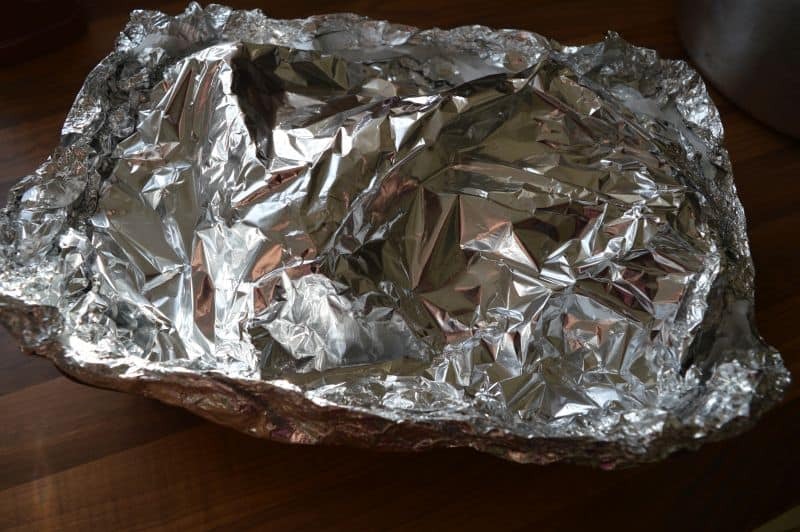 Cover the foil tightly and bake in a preheated oven at 150 C for 3 hours almost. 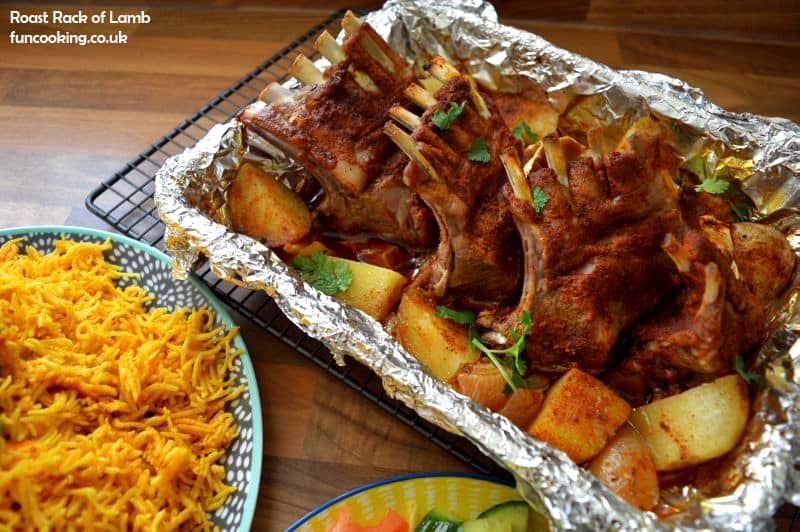 I served this roasted rack of lamb with 5 spice rice recipe and fresh salad.